Dogs can get along well with monkeys, because they are distinguished by their high levels of intelligence. Sometimes the primates ride dogs, in hilarious fashion. 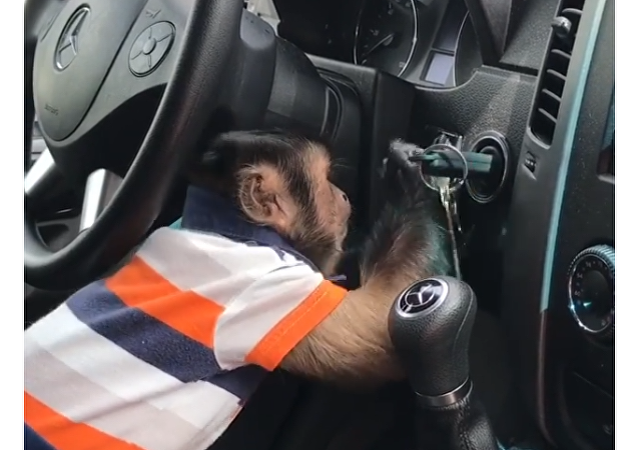 An inquisitive little monkey was playing with a key while sitting inside a car when the critter suddenly figured out where to insert its newfound toy. At Whipsnade Zoo in Dunstable, zoologists treated squirrel monkeys to tasty gifts on the eve of Valentine's Day: animals were treated to sweet potatoes that were placed in holiday packages suspended from a rope in an enclosure. A tourist in Bali, Indonesia, found a monkey to have stolen his sunscreen after returning to his motorcycle, and came up with a creative trap to retrieve it. An animal rights group which opposes species discrimination, Sentience Politics, is behind the plan to hold the referendum, the The Local Swiss outlet reported on Thursday. A great way to avoid cold feet! In Vietnam and indeed across Southeast Asia, the consumption of various animal meats from dog to cat and rabbit is customary. However sinking your teeth into a rare breed of monkey is a practice that is slightly less heard of. A 25-year-old local was arrested shortly after a video, which featured her sexually pleasing a monkey in a pet shop in Egypt, was uploaded online and went viral in October. 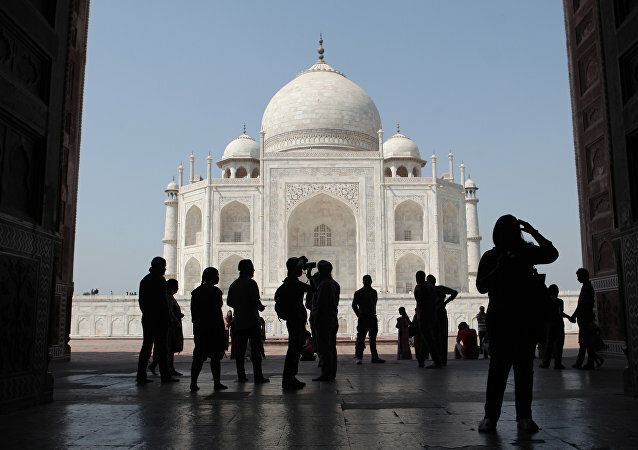 While investigators claimed that this had been a weird promotion for her, the woman herself stated it had begun as a joke without any lewd intentions. 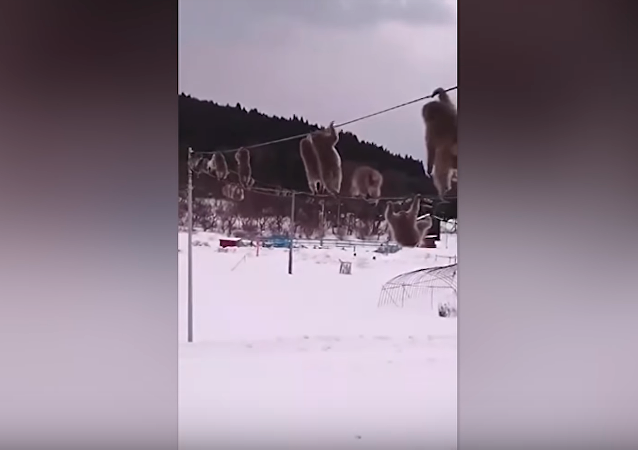 A group of monkeys is spending some quality time in hot springs in Japan, relaxing and casually chilling together, totally forgetting about the cold and the pesky winter season which the creatures hate so much. The baby monkey obviously wants to sleep, but at the same time it can’t stop munching on a healthy treat. It’s unclear if the animal is actually hungry or just greedy and unwilling to skip the opportunity to eat more. 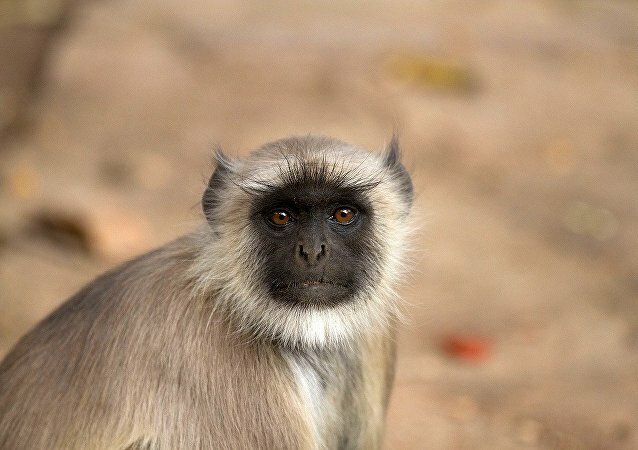 Monkeys can be really smart and cute – but they are also full of tricks and sometimes they are really ungrateful. Or, maybe, they just don’t understand what’s practical and appropriate and what’s not? Well, evolution will no doubt fix that – in a few million years! The mother of the 12-day old baby was feeding him when the monkey entered their room, snatched the baby and ran into the neighbourhood where it mauled the newborn and left it to die. 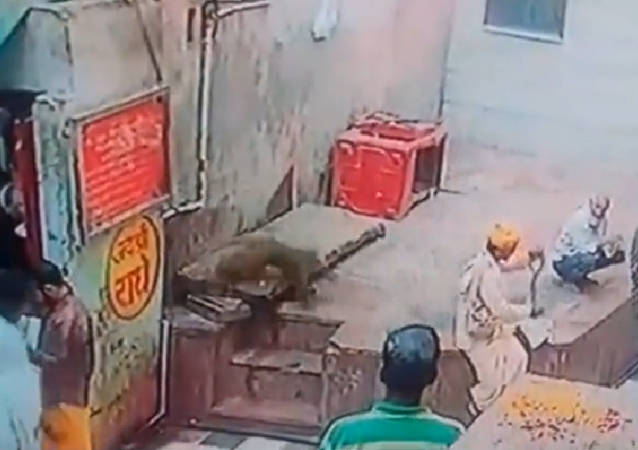 A security camera outside an Indian temple caught the moment a wild monkey grabbed a cobra from a snake charmer Friday. A monkey was filmed eating juicy red apples when suddenly it assumed that someone sneaky was approaching to steal the hilarious creature's edible treasures.